A confident speaker and performer, Fabia is available for bookings at corporate events and private functions. Her sparkling personality is guaranteed to bring a smile to the face of your guests. Please contact via the Contact Form. Thank you. 'In 2 Minds' - Fabia's heartwarming autobiography of her life. Ciao Bella! - Fabia's basic step by step beauty guide. Purchase Fabia's e-books from www.amazon.co.uk - perfect for electronic readers. 'In 2 Minds' is also available from www.chipmunkapublishing.co.uk in paperback 2009. KYLIE, Britney and J-Lo all have one... and now Oxfordshire's very own diva is the latest to launch her own brand of perfume. 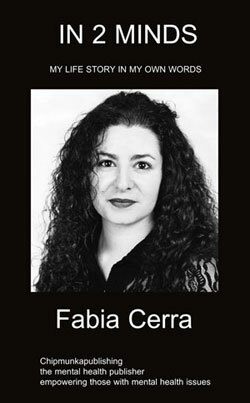 Reality TV star Fabia Cerra has created Burlesque Kiss, a "sophisticated, heady scent" which will raise money for a breast cancer charity. The Blackbird Leys mum-of-one shot to fame performing a risque burlesque dance on Britain's Got Talent in 2009. She said: "I wanted to go for something completely different. Lots of perfumes are called Obsession or Desire, but I wanted something that reflected me." "It's quite a powerful scent." Miss Cerra, 37, reached the semi-finals of ITV's Britain's Got Talent, with her performance that has since clocked up 1.6m views on video website YouTube. Burlesque Kiss can be purchased for £10 + £2.95 postage and packing. To order your fragrance just complete the enquiries form on this website and we will phone you to arrange mailing and payment details.